Update: Comcast has responded to Netflix’s blog post. The statement can be read in full at the bottom of this article. Netflix chief executive Reed Hastings argued for a stronger form of net neutrality today, while blasting large Internet service providers (ISPs) for throttling its service until it pays additional fees. “Some big ISPs are extracting a toll because they can — they effectively control access to millions of consumers and are willing to sacrifice the interests of their own customers to press Netflix and others to pay,” he said in a blog post. 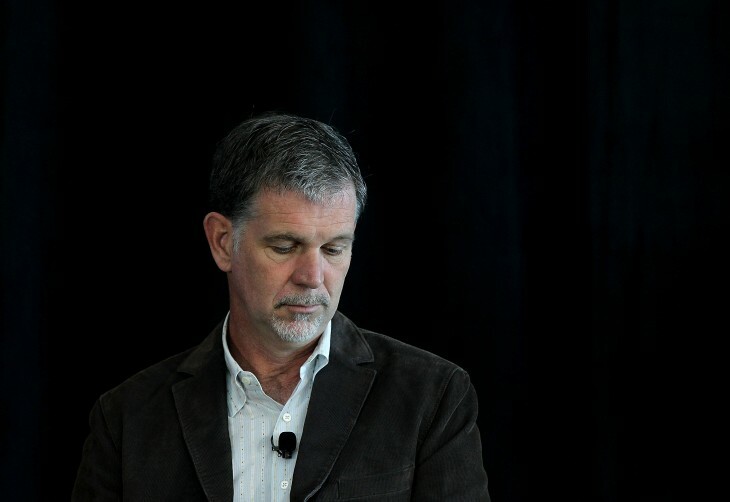 Netflix’s founder was frank about the company’s current predicament. Some, but not all ISPs in the United States are now restricting its movie and TV streaming service, leading to high load times, substantial buffering and poor image quality. The performance is only restored when Netflix agrees to pay each ISP new interconnection fees. He highlighted the recent deal with Comcast as an example of this behavior by large ISPs. Without stronger net neutrality rules, he argued, these companies will be able to ask for increasingly expensive fees from service providers in exchange for adequate performance. “While in the short term Netflix will in cases reluctantly pay large ISPs to ensure a high quality member experience, we will continue to fight for the Internet the world needs and deserves,” he concluded defiantly. “There has been no company that has had a stronger commitment to openness of the Internet than Comcast. We supported the FCC’s Open Internet rules because they struck the appropriate balance between consumer protection and reasonable network management rights for ISPs. We are now the only ISP in the country that is bound by them.